Hello my name is Emily. I am an elder care provider who is passionate and am looking for work in Cassatt. I look forward to hearing from you!Hello my name is Emily. I am an elder care provider who is passionate and am looking for work in Cassatt. I look forward to hearing from you!Hello my name is Emily. I am an elder care provider who is passionate and am looking for work in Cassatt. I look forward to hearing from you! I am 22 years of age. I have a drivers license. I live in the Cassatt area. I am currently looking for a job specifically dealing with driving.I am 22 years of age. I have a drivers license. I live in the Cassatt area. I am currently looking for a job specifically dealing with driving.I am 22 years of age. I have a drivers license. I live in the Cassatt area. I am currently looking for a job specifically dealing with driving. I worked as a CNA in a nursing home in Ohio before moving to South Carolina. I'm friendly and reponsible and get along well with everyone.I worked as a CNA in a nursing home in Ohio before moving to South Carolina. 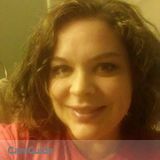 I'm friendly and reponsible and get along well with everyone.I worked as a CNA in a nursing home in Ohio before moving to South Carolina. I'm friendly and reponsible and get along well with everyone.